You could say that, despite not looking that different from the model it replaces, the second generation of the Range Rover Evoque is one of the smartest looking SUVs in its class. 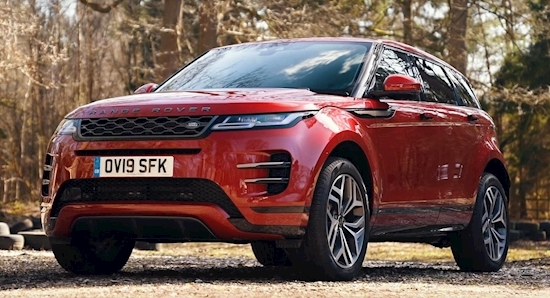 Despite the similar looks, the 2020 Evoque wears a completely new bodywork that combines its predecessor’s popular shape with design details from the bigger Range Rover Velar, including the pop-out door handles and slim front and rear lighting units. The underpinnings are also new, featuring a slightly longer wheelbase for a roomier cabin, which should rectify one of the weakest points of the original. The new platform is also compatible with electrified powertrains, with a plug-in hybrid option expected to join the range next year. The cabin of the Evoque combines better-quality materials with new trim options and Land Rover’s latest tech features, including a digital instrument display and the dual-screen setup for the infotainment and HVAC controls. There’s even a very nice wool-blend upholstery option made out of recycled materials, as shown in Carwow’s latest review. All models are powered by 2.0-liter four-cylinder engines, in diesel and petrol versions. Only the base manual D150 diesel model is front-wheel drive, while the range-topping version features the 296hp (300PS) petrol engine paired to a nine-speed automatic transmission and all-wheel drive. With rivals such as the BMW X1, Audi Q3 and Volvo XC40, is the new Range Rover Evoque capable of continuing the success story of the original?